National political groups are bigfooting their way into state elections through ad campaigns, part of a growing trend in which groups independent from candidates or parties are taking a larger role in shaping the narratives of political campaigns. A Washington, D.C.-based group funneled millions of dollars from a New Jersey teachers union into TV ads about the Garden State’s General Assembly races. A billionaire’s gun safety group broadcast its gun control messages in Virginia legislative races, possibly testing them for 2016. And two large partisan associations obscured their affiliations by funding lesser-known groups with more innocuous names voters would not recognize in the Kentucky and Louisiana gubernatorial races, with mixed results. In total, 33 outside groups poured more than $32 million into their own political ads this year, accounting for more than one-third of the estimated $86 million in broadcast TV ad spending in the seven states with major races, according to a Center for Public Integrity analysis of data from media tracking firm Kantar Media/CMAG. That represents more than 1 in 4 political spots aired, compared with fewer than 1 in 5 ads in both 2011 when the same states had comparable races and in 2014 when major races occurred in 45 states. The U.S. Supreme Court’s 2010 Citizens United v. Federal Election Commission ruling and other related cases opened the door for such increased power of outside groups by ruling that nonprofits, corporations and labor unions could spend unlimited sums to persuade people to vote for certain candidates. This is also helping drive up the bill for political campaigning. In 2015, political advertisers upped their game, largely due to heated governors’ races in Louisiana and Kentucky. The combination of candidates, parties and independent groups overall spent approximately $50 million more on TV ads than political advertisers spent in 2011. Advertisements aired 84,000 more times than in 2011, according to an analysis of data from Kantar Media/CMAG, which monitors 211 media markets around the country. The figures do not include ads for radio, the Internet, direct mail or TV ads that aired on local cable systems. The estimates also do not include the cost of making the ads. Independent groups were responsible for a larger share of political TV ad spending in 2015 state elections than they were in 2014 state races or in 2011, when voters last saw comparable elections. Such groups, unhampered by contribution restrictions, advertised about races up and down the ballot. Source: Center for Public Integrity analysis of Kantar Media/CMAG data. By spending money, outside groups can change the tenor and the tone of political ad messaging. But more money may not translate to victory. Republican U.S. Sen. David Vitter’s prostitution scandal, which first came to prominence in 2007, was brought to the forefront again by the Louisiana Water Coalition, a political action committee funded by a Baton Rouge law firm that battles oil and gas companies. The PAC aired an estimated $840,000 worth of ads starting in September that repeated claims by a former New Orleans prostitute that Vitter had been a regular customer. It was one of 10 outside groups to enter the Louisiana governor’s race, more than in any other race this year. Combined, the groups spent $9.8 million on TV airtime — almost half of all TV ad spending in the gubernatorial election. Vitter’s campaign spent an estimated $4.1 million — more than anyone else in the governor’s race — and received a combined $5.5 million in backing from three outside groups. Democrat John Bel Edwards and the groups that backed him spent approximately two-thirds as much as Vitter and his supporters on ads yet Edwards won the Nov. 21 runoff election. A similar trend emerged in Kentucky, with groups spending $1.5 million more on losers in the state’s races overall. 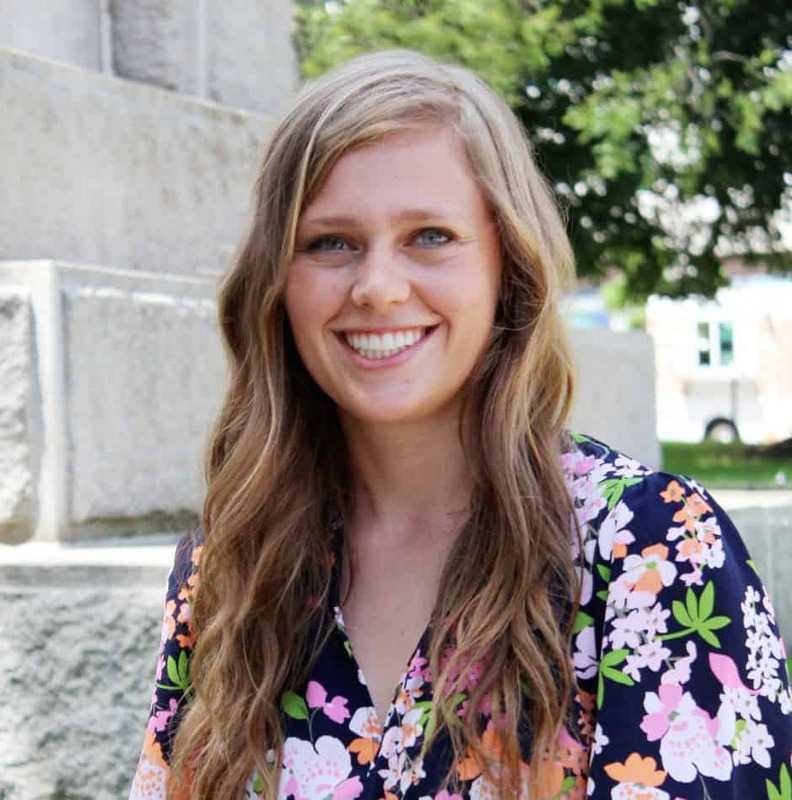 The Bluegrass State had a particularly competitive and expensive gubernatorial primary, with Republican Matt Bevin narrowly defeating his competitors despite lagging in the polls. In the general election, Kentucky Family Values, a group backed by the Democratic Governors Association, then spent $3.4 million on ads slamming Bevin, contributing to the large total supporting the defeated. More than one third of the outside groups are tied to a national entity, whether that be as locally grown groups playing in multiple states or a national giant funneling money into local groups. Two such organizations trying to seize governors’ seats for their parties, the Republican Governors Association and Democratic Governors Association, funded lesser-known entities and PACs in the Kentucky and Louisiana gubernatorial races this year, as they have done elsewhere in the past. It was a mixed bag for both groups. Each governorship flipped parties: A Democrat won in Louisiana, while the GOP took the Kentucky governor’s mansion. These giants may route their funds through these channels to put a layer between themselves and the campaign ads. The original donors of the money are then even more insulated from disclosure, according to Malbin. While voters can’t track exactly which funds given to the RGA or DGA went directly to these state races, they can see the overall backers of these organizations. The top donors to the RGA historically include business magnate Sheldon Adelson and Koch Industries’ David Koch. Top DGA contributors include the union American Federation of State, County and Municipal Employees and former New York City Mayor Michael Bloomberg. Donors may not be the only names these groups want to disguise, Malbin said. The DGA-backed Kentucky Family Values, a group also backed by unions, slammed Republican Matt Bevin — the eventual winner — for not releasing his tax returns. The national organization also shelled out more than $1.5 million to the anti-Vitter Gumbo PAC in the Louisiana governor’s contest. Gumbo PAC also received backing from trial attorneys, and its director is consultant Trey Ourso, the former executive director of the Louisiana Democratic Party. On the other side, the RGA entered the Kentucky gubernatorial race as the sole funder of Putting Kentucky First with $5.1 million. It did use its own name in Louisiana, though, with the RGA Right Direction PAC, which spent more than $1.4 million in campaign ads. Another national group, Everytown for Gun Safety Action Fund, poured more than $2.3 million into TV ads about two highly contested Virginia state Senate seats in northern and central districts that could have helped Democrats gain a majority in the chamber. Everytown does not disclose its donors, but the gun control group was founded by Bloomberg, a billionaire. Everytown aired ads focusing on gun control policies, featuring Andy and Barbara Parker, the parents of Alison Parker, a Roanoke TV journalist gunned down by a former colleague during a live broadcast in August. In the end, Everytown-backed Democratic candidates didn’t win any new ground: Jeremy McPike won a seat previously held by a Democrat, and Dan Gecker lost a seat previously held by a Republican. Overall, Democrats fell flat without gaining any new seats in the Senate, maintaining the previous 21-19 divide. While turning the tables would have helped Democratic Gov. Terry McAuliffe push through his gun control measures, that may not have been the end goal for the Bloomberg group’s ad strategy, according to Quentin Kidd, director of the Wason Center for Public Policy at Christopher Newport University in Newport News, Virginia. A national political group spent about $3.2 million backing Democrats in the New Jersey General Assembly races — more than half of all political ad spending in the state, according to Kantar Media/CMAG — even though most seats weren’t competitive and Democrats already held the majority. Most of liberal-leaning General Majority PAC’s funds came from Garden State Forward, a major teachers union PAC in New Jersey. This flood of money helped Democrats gain three additional seats, bringing their total up to 51 out of 80, the largest majority in 37 years. Americans for Prosperity, a conservative Koch-backed national nonprofit, had more mixed results. It paid for an estimated $40,000 worth of ads for Virginia Senate candidates who lost but spent a “six-figure amount” in the Kentucky governor’s races attacking losing candidate Jack Conway, according to an AFP spokesman. The group also spent a reported $70,000 on ads in a Colorado school board recall, where the members they supported lost. The Republican Attorneys General Association, a national organization looking to fill every attorney general seat with a Republican, spent $1.1 million on ads in Kentucky’s race. Its major donors over the past 13 years include the U.S. Chamber of Commerce, businessman Sheldon Adelson and the conservative Judicial Crisis Network. Democratic corporate attorney Andy Beshear beat out Republican Whitney Westerfield, despite the group’s support. The Republican State Leadership Committee, a tax-exempt group looking to fill state-level offices with Republicans, spent an estimated $988,000 on ads about the Pennsylvania Supreme Court race, losing all three races to Democrats. Its top donors include the U.S. Chamber of Commerce, the conservative legal group American Justice Partnership and tobacco company Reynolds American. The Public Integrity Alliance, a nonprofit that can keep its donors hidden, entered the attorneys general races in Louisiana and Mississippi, spending an estimated $213,000 combined airing TV ads targeting Republican Buddy Caldwell and Democrat Jim Hood. Caldwell lost his race, while Hood won. This group based in Arizona played in the 2014 Arizona attorney general primary and expanded its efforts after unnamed activists asked for help, according to its president, Tyler Montague. The Center for Individual Freedom spent more than $748,000 on ads attacking Louisiana Attorney General Buddy Caldwell during his fight to hold his position. Caldwell lost to former U.S. Rep. Jeff Landry in an all-Republican runoff. Tobacco executives formed the Virginia-based nonprofit more than 15 years ago to combat government smoking restrictions. The nonprofit, which does not need to disclose its donors, has generally backed conservative candidates across the country, airing ads in the 2014 contests for Arkansas attorney general and Michigan Supreme Court. 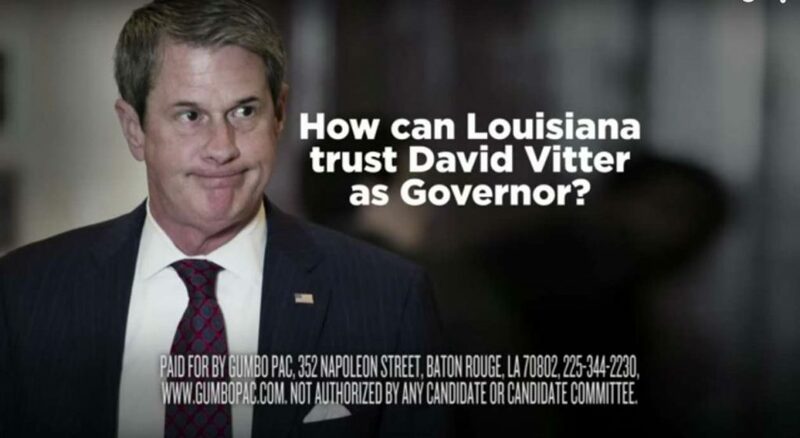 The Humane Society Legislative Fund, the lobbying arm of the animal rights protection group, supported Vitter in the Louisiana governor’s race by buying an estimated $116,000 worth of ads. The Bluegrass Action Fund backed unsuccessful Republican Hal Heiner for the Kentucky governorship, spending an estimated $233,000 on campaign ads. About a third of its donations came from the nonprofit Citizens for a Sound Government based in Lakewood, Colorado, which does not disclose its donors. Its chairman is Alan Philp, the COO of Aegis Strategic, a group funded by David and Charles Koch.